Commitment- We will remember our primary focus is the individuals we serve. We will be advocates for individuals with disabilities as without them we would have no purpose. Acceptance- We will display unconditional acceptance to all individuals we serve and work with realizing that each has unique gifts, talents, and challenges. Respect- We will respect the privacy, dignity and individualism of everyone we serve and work with. We strive to enrich the lives of both those we serve and employ. Excellence- In everything we do, we must do it with the utmost care and commitment to excellence. The safety and rights of the individuals we serve is always our foremost concern. 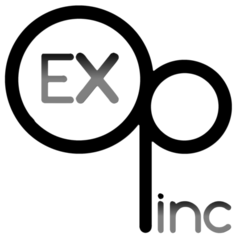 Exceptional Opportunities, Inc.’s services are built upon a basic philosophy which maximizes human potential, individuality, growth, self realization and independence. Considering each individual’s unique abilities and changing needs, we hold that a human life is most satisfactory when the person enjoys a sense of self-identity and self-esteem, can sustain family ties and friendships, is challenged, is creative, is growing through learning and new experiences, learning to solve problems commensurate with his or her talents, enjoy life as much as possible, and is being prepared to lead a meaningful life in the community. An accumulation of efforts on the part of many concerned parents who were a part of the Kossuth County Association for Retarded Citizens, and dedicated volunteers between 1967-1970, resulted in the incorporation of Exceptional Opportunities on May 13, 1970, as a private, not-for-profit (501c3) organization to serve children and adults with intellectually disabilities. These pioneers in services for children and adults with disabilities worked tirelessly for their loved ones to have educational, work and educational services. Starting as a pre-school for children with disabilities, Exceptional Opportunities, Inc. has continued to grow in Burt, Iowa, the small town with a big heart. 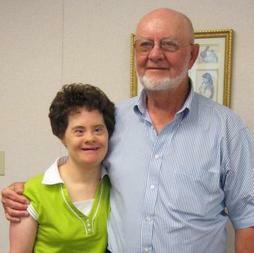 Today, nearly 100 individuals with intellectually disabilities are served with respect and excellence. A team of nearly 175 employees provide the services and supports needed with acceptance for each individual’s abilities, and commitment to help each person reach their dreams. 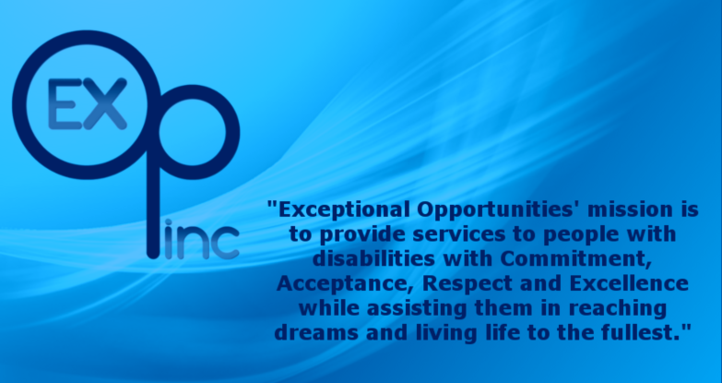 The current management and employee team continue with a similar strong resolve of the founders of Exceptional Opportunities, in the pursuit of helping people with disabilities live life to the fullest. Services provided today include three homes licensed by the Department of Inspections and Appeals as Intermediate Care Facilities for Intellectually Disabilities (ICF/ID). 2008 Exceptional Industries received ninth consecutive 3 year accreditation. Click for full history description of Exceptional Opportunities, Inc.